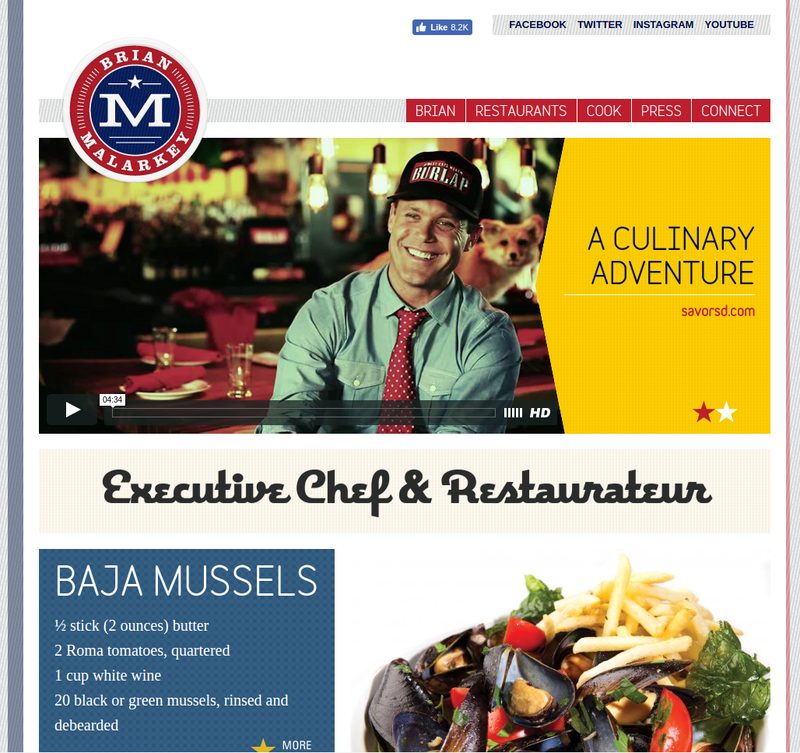 I worked on the website for celebrity chef Brian Malarkey. The responsive WordPress backed site featured a print inspired design which required creative solutions to responsively transform into mobile in a user-friendly manner. 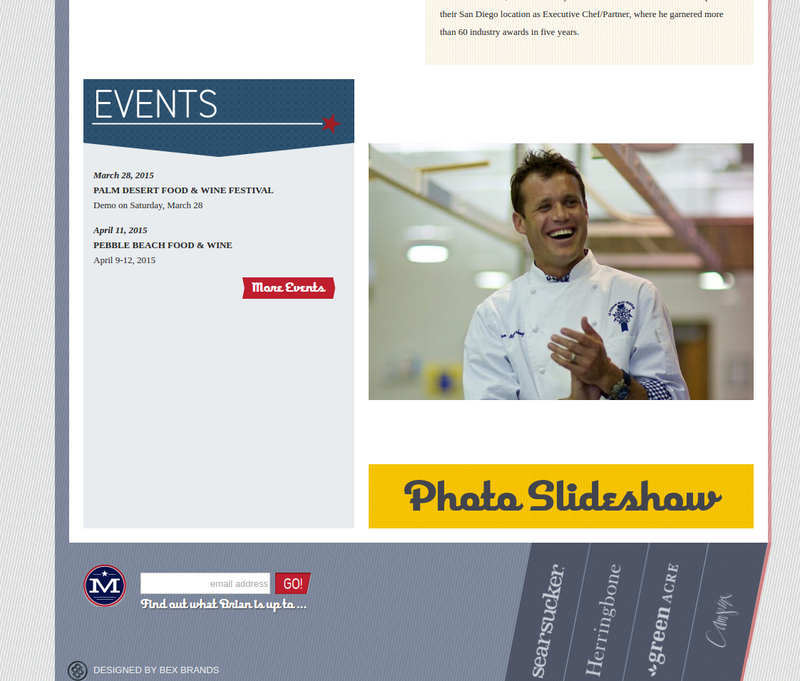 An interesting site feature is the restaurant logos displayed in the footer which sit at an angle. To improve consistency and maintainability, I used css3 transforms (and some position: relative trickery) for the effect. I handled roughly 85% of the front-end and back-end development work.